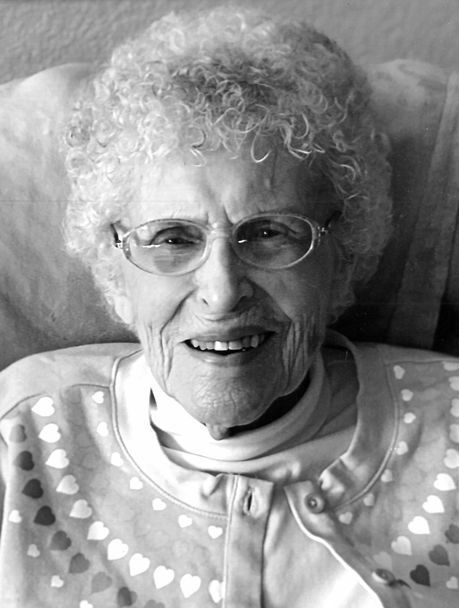 Audrey Irene Robbins, age 95, of Roseburg, Oregon, went to be with the Lord on Tuesday, March 5, 2019. She was born in Earlham, Iowa, on October 17, 1923, to Francis and Armena (Husted) Murray. Audrey was raised in Des Moines, Iowa, and attended Lincoln High School. She met the love of her life, Calvin E. Robbins, whom she married on November 8, 1941. They shared 61 years of marriage before his passing. Audrey enjoyed family camping trips and crafts. They had three daughters born in Iowa. In 1962, they moved to California. After retiring from Foothill Jr. College in Los Angeles, California, the Robbins moved to Roseburg, Oregon, in 1985. Audrey and Calvin fellowshipped at Wellspring Baptist Church where they served and developed beautiful friendships. Audrey served the Lord by the way she lived her life and how she loved and cared for family and friends. She was a prayer warrior. Survivors include her daughters, Sondra Robbins of Des Moines, Iowa, Barbara Dickey Bennett and her husband Leon of Roseburg, Oregon, and Dorrita Robbins of Folson, California; six grandchildren, Jodi Barsch, Doug Raper, Tom Watts, Anjanette Melvin, Mindy Hills and James Hansen; 11 great-grandchildren; and three, plus two on the way, great-great-grandchildren. A family gathering will be held at a later date at Garden Valley Retirement Center with Pastor Randy Scroggins officiating. Private interment will be held within the grounds of Roseburg Memorial Gardens. Please visit www.wilsonschapeloftherosesfh.com to leave the family fond memories and condolences. 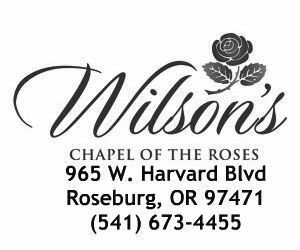 Wilson’s Chapel of the Roses is in charge of arrangements.